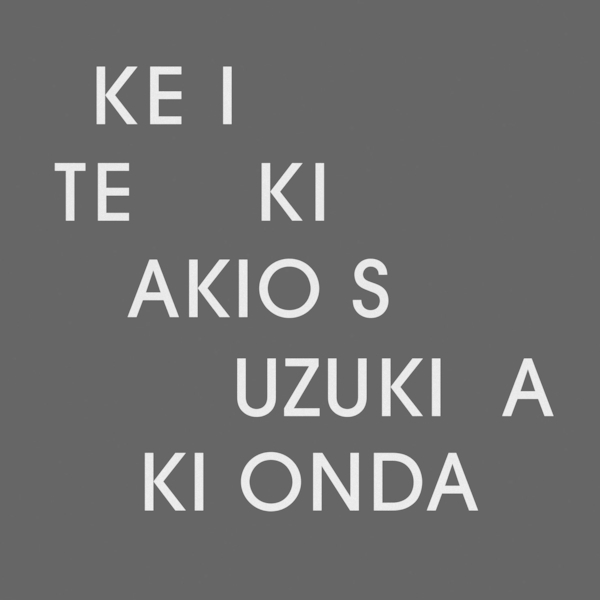 “This album "ke i te ki" was recorded in New York City in Fall 2015 at The Emily Harvey Foundation - a SoHo loft-style art space that was once the studio of Fluxus founder George Maciunas. Nam June Paik and Shigeko Kubota, whom Akio met around the early ‘80s, used to live in the same building; another former resident and friend of Akio, Yoshi Wada, was said to have done some of the carpentry and plumbing. It is a historic building of New York avant-garde culture, and the last of the artist co-ops that Maciunas created in New York City. How could this not have an effect on the recording? We had one day of preparation for the multi-track recording, performing for two nights surrounded by a limited but packed audience. The Emily Harvey loft is itself quite constrained, and Akio and I needed a significant portion of the floor to place our gear and roam around. Microphones were everywhere, since our sounds diffused across the space.